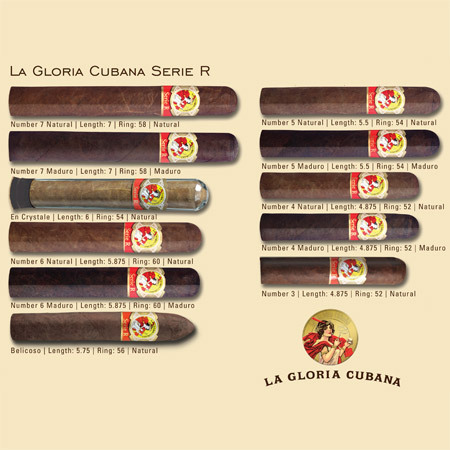 La Gloria Cubana Serie R cigars were created in the last millennium, 1999 to be exact, with one goal in mind: satisfy the cigar aficionado who loved a bold, full-bodied smoke. Like the Serie N, the Serie R cigar feature a unique box, one of dark mahogany with gold lettering that actually (slides) open like a cabinet. Sporting a blend of Dominican and Nicaraguan tobaccos, this cigar's taste is powerful and spicy. 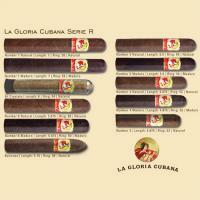 These cigars are truly a masterpiece, so give any of the seven sizes today a shot and be satisfied!